Larry Eldridge certainly has more staying power than actor McLean Stevenson had in his short-lived Hello, Larry sitcom. Although Larry and I had never played one another until this tournament, our respective teams had played each other 20 years ago at the U.S. Amateur Team East tournament, and I'm pretty sure I'd seen him at local tournaments earlier than that. Section 2's players were closely matched, making any game's result a toss-up. 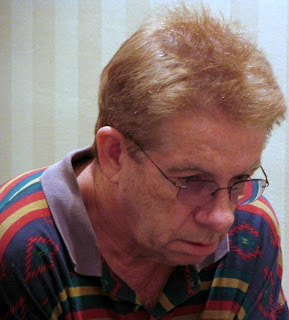 After a round one loss, Larry picked up 4 points in a row and became the sole leader. I on the other hand started out by "mistakenly" using the Swiss Gambit ("What? This is a double round-robin? "), losing with White in rounds 1 and 2 to Walter Driscoll and Larry, respectively. Nothing like starting out with two whites and losing them both. After my round 7 draw with Larry, he told me he had thought I might play the Cordel (3...Bc5) in our Ruy López. As I left the club, I thought to myself, "How would he have known that? ", thinking that since I only took that variation up in more recent years and I so rarely play in tournaments, he couldn't have seen me play it. Then I remembered that his son Ross, against whom I'd played the Cordel a few years ago, had come by the club as a spectator the previous week. Not the family fork, but perhaps the family carving knife at work. After round 8 Walter had caught Larry, and they shared the lead. While chatting, Walter thanked me for holding Larry, his main competition, to a draw in round 7. Then he added that he supposed he should thank me 3 times total, since I had already dropped both my games to Walter this tournament, who has turned out to be my real nemesis. After two wins against him in the 90's, I started playing him at the club, where, after one draw, he's now handed me five straight losses. Unfortunately for me, both Walter and Larry also won in round 9, thus continuing to share the lead. However, with the following short and bloodthirsty round 9 win over Jon Lee, I retained a small hope of tying with Walter for first if Larry were to lose round 10. Please drive your trucks carefully through the holes in these hasty, skimpy notes, which are primarily from the postmortem. While chatting with Jon after our game 9, I took pains to make it clear that in addition to needing to win in round 10 myself, I needed Jon to beat Larry in round 10. In an ominous sign, he told me that he had never beaten Larry, or Larry's son Ross, and I had to admit sadly that it was the same situation for me. My squib-tastic eye abruptly slammed into overdrive, and I hallucinated that I could repeatedly check him by playing 60...Na3+ 61 Kd4 Nb5+, getting the draw for which I'd been scraping. Naturally, Harold did not return his king to d4 after 60...Na3+, which was followed by 61 Kb3 Nb5 62 Nxa6 and a straightforward win. 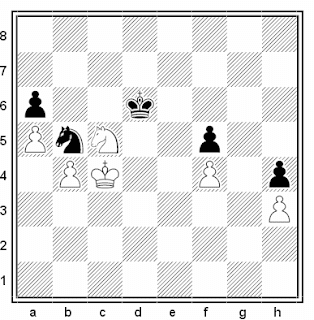 However, even after 60...Nc7, White still wins with 61 Nxa6 Nxa6 62 b6 and White's pair of passed queenside pawns overwhelm Black's forces. Hearty congratulations to Larry for a well played tournament. The Eldridge Welcoming Committee, headed by Messieurs Lee and Ho, looks forward to Larry and son Ross' future participation in tournaments at the club! As I was focused on winning the class B prize I have a myopic view of what went on throughout the whole chess tournament at Boxborough: so below is the Mass Open according to what happened in front of me. As there were really four tournaments going on sometimes simultaneously. Directors Alexander Relyea, Bob Messenger, Nita Patel, MACA coordinator Ken Ballou, utility infielder Steven Dann, and chief MACA philosopher George Mirijamian ran a terrific tournament.The main hall is a big gray room, where somehow the lighting is perfect at the board but dissolves when looking around, the hum of the lights annoy some. Overall Boxborough is a very good venue. Every morning players of all types march into the hall and sit down to work, to fight, to kill or be killed: an outsider might ask why would anyone spend potentially 36 hours over three days working during Memorial Day Weekend doing nothing but staring at 64 squares? What's the magic in this big gray box? Contestants most so focused and controlled sifting though variations, concentration so engrossing. Young children amazingly glued to their game for hours on end, what causes so much self control? What contemplation! There was a great deal of good news this year: more players played in the Open than last year, MACA obtained a well needed injection of advertising money from The House of Staunton; MACA reengineered Chess Horizons to dramatically reduce costs while keeping quality. But like all investors MACA had heavy losses having its investments decrease by about 30%, adult membership is slowly shrinking (currently in the 200d's- excluding life members - which now exceed adult members). It's only the income from scholastic tournaments that keeps MACA afloat. Seventeen-time winner of the Mass Open John Curdo came alone sans regular roommate, the venerable Harold Dondis, because Harold had a cold. We wish Harold to get well quick. I had four good games, finishing with a score of 4 wins /1 draw/1 loss. So I co-won the under 1800 section with Frank Vogel III. Since Frank is from RI, does that make me sole MA U1800 champ? I think I'll make the claim. Monday had to be the best day. After round 5, many of us walked outside midday embraced by the marvelous sun, a blue blue sky, not a cloud, temperature being perfect. An ad hoc pickup football game broke out on the grassy field besides the Holiday Inn where chess players from 5 to 40 put down their sets and took up physical recreation. Kind of surreal like the football game in the middle of the movie MASH, to watch a generationally mixed field of chess players fighting for a ball in the big green room, everyone letting their minds and bodies dance free, a break from toiling over a board and sitting on one's hands. Bill Kelleher invited me to go with him and Al Szejman to lunch. So we tooled to Acton driving thru the woods arriving at an Italian restaurant. There we met IM David Vigorito and his fiancé and discussed their future honeymoon to Italy and parings and colors. Later Bill, Al and I strolled thru the booming metropolis of Acton as if we were walking beside the canals of Venice digesting our pasto perfetto. Free unfettered brains created a stream of consciousness discussion that ranged from computer compilers, to mathematics, to bad economic forecasting, to politics, to religion. Threaded but free roaming, we absent mindedly ambled into a dead end and had to turn around and go back to the Open. Cease fire over, back to the wars. A man on a mission, it was GM Alexander Ivanov's day: white x 2 was his color, and Qe2 was his key move to win in both a Ruy against Paul MacIntrye and Sozin Sicilian against IM David Vigorito both in 23 moves; closing a 1/2 point defect at the beginning of the day to a plus 1/2 by the end to win the Mass Open. For this year he possesses the ugliest trophy ever seen. 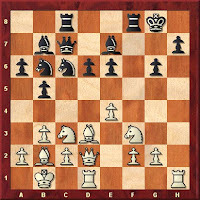 I'll play from this position from either the white or black side as I feel they have equal winning chances. (note the total ugly score is below, I'll just cover the low points here). 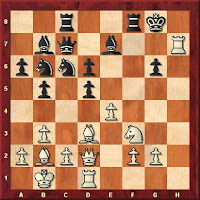 Following 12.a3 then 14.b4 by white my gut took over my mind and "HAND MUST MOVE E5!" Later Denys Smelov tells me that e5 in positions like our game is one of the major mysteries that Tarrash players on both sides have yet to solve in thousands of games. 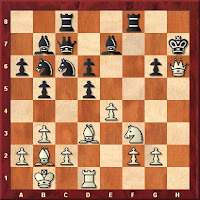 and four moves later having missed 18.Bc5, thus losing the exchange, I figured to go all in: "BISHOP MUST TAKE ON h2!" to begin a totally dumb, unsound campaign. and I'm thinking: I really like his position better and I am wicked concerned about his two bishops and feel I'm toast if he gets a rook to the seventh. No sooner through worrying when my opponent offers me a draw?! Tom is probably feeling that with all this blood on the board it might cause pathogenic prions to permanently effect our chess brains. In Seinfeldian closure to my Open, I am sitting in the skittles room with George Mirijamian trying to determine if white can win this position, when in walks Alexander Ivanov. Alexander is obviously waiting for the other games to finish. So I turn and ask him his opinion about my final position. 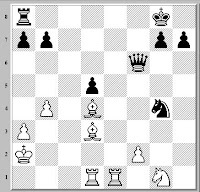 Alexander was nice enough to spend about 15 minutes sifting through variations until he comes up with what is a winning strategy for white. Now I'm even gladder I took the draw offer. Alexander then asks us which of his victories today he should submit to the most interesting game prize. We ask if we can see the games, and as Ken Ballou transcribes, we spend about 40 minutes listening to Ivanov describe how and why he won. Earlier, midday in the hall, the self-effacing Paul MacIntyre said he attacked "like a school boy" and that he felt going into an endgame instead of pressing for an attack was better than certain slow death. But Ivanov actually gives MacIntyre more credit and points out many ways Ivanov could have gone astray. 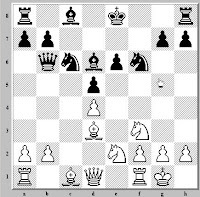 To me it seems his victory over Vigorito was completely pre-contrived ( a feeling later corroborated by Vigorito himself) but Ivanov had to work in the MacIntyre game. Driving home with a check in my wallet, a beautiful version of Beethoven's 9th by the Chicago Symphony plays on my radio, Ode to Joy caps off a wonderful weekend. What were your experiences this weekend at the Mass Open? IM David Vigorito discussed what he said was one of the most important and under-appreciated factors in tournament chess - decisioning making. 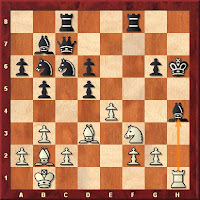 He illustrated his points with some fascinating positions from his recent games. In a game from Foxwoods with GM Shabalov, he showed a position from which there were 5 winning lines and a 6th which led to an interesting draw. Dave played the drawing line. The smallish audience was intensively fascinated by Dave's analysis in a lucid, low-key and somewhat self-deprecating style. Another terrific evening at the club - thanks. Dave. FIDE masters Paul MacIntyre, 47, of Malden, Massachusetts, and Charles Riordan, 29, of Somerville, Mass. shared top honors in a four-player, double round-robin Game/25 tournament held Friday, May 22, at the Galleria Florentia at 79 Newbury St. in Boston. The dynamic duo tallied 4-2 (three wins, two draws and one loss apiece) in finishing a full two points ahead of their arch rivals, international master David Vigorito, 38, of Somerville, and senior master Denys Shmelov, 22, of Pepperell, Mass. 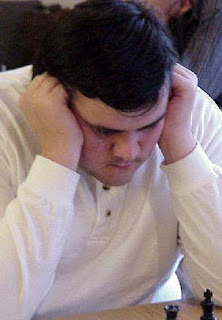 Shmelov, the 2008 Massachusetts state champion, notched one win (vs. MacIntyre), two draws (both vs. Vigorito), and three losses (one against MacIntyre and two against Riordan), while Vigorito, the 2007 Mass. state champion, tallied zero wins, four draws (one vs. Riordan, one vs. MacIntyre, and two vs. Shmelov), and two losses (one vs. Riordan and one vs. MacIntyre). In their head-to-head confrontation, MacIntyre scored a win and a draw against Riordan. Each received $875 apiece, while Vigorito and Shmelov took home $375 each. All four players are set to play this weekend in the 78th Massachusetts Open at the Holiday Inn in Boxborough, where a new state champion will be crowned and a top prize of $500 is being offered. Among those who will join them in the competition are four other former Mass. state champions:GM Alexander Ivanov, 53, of Newton, an eight-time state champion; IM Igor Foygel, 61, of Brookline, a five-time state champion; FM William Kelleher, 59, of Watertown, the 1992 state co-champion; and FM John Curdo, 77, of Auburn, a 17-time state champion. 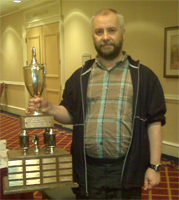 In a dramatic come-from-behind victory, grandmaster Alexander Ivanov won the 78th Massachusetts Open, held May 23-25 at the Holiday Inn in Boxborough. The 53-year-old Newton resident suffered a setback in the third wound when he lost to FIDE master Bill Kelleher, the 1992 Massachusetts state co-champion. 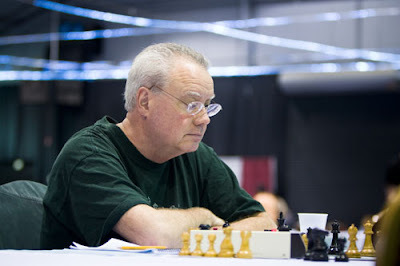 But then Ivanov posted back-to-back wins against Ilya Krasik of Newton and FM Paul MacIntyre of Malden to set up a final-round confrontation with international master David Vigorito of Somerville, who was leading the field with 4.5 points. Ivanoiv defeated his rival and with it gained his ninth Massachusetts state championship. Weaver Adams: What Do You Mean I'm Ove-rQualified!? My wife and I have a deal that for10 months I play chess most week-ends, but take July and August off to spend the summer with her and the family at the beach. 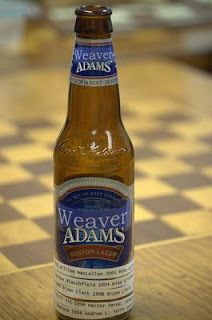 So my chess season begins after Labor Day and ends with me playing in the Weaver Adams, end of June. 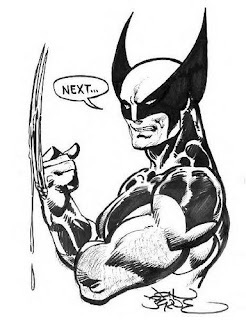 This annual close out at the WA typically consists of one third of the same guys I have faced for about a decade, a third are kids performing the right of passage as they pass through the U1800 section, and a third are relative newcomers that try the Weaver Adams and never reappear. 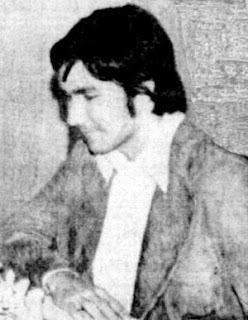 But the WA Band of regular Killer B comrades usually consists of: Tony Cortizas, Ed Foye, Ted Gorczyca, Ken Ho, Bernado Iglesias, Dr Jon Lee, Tony Di Nosse, Bob Oresick, and Tony Scali, as they seem to be opponents most years. I remember in 2004 the late Greg Hager and I went out to eat together before a round and he had me laughing so hard thru dinner. Typically I can't play during week-nights - being in the IT field as it can be problematic and anxiety generating. You can be in the middle of firefighting and just can't say: "Well boys, although the company is dead in the water, I'm going to have to leave to play a (silly) game, good luck!" So excluding the Weaver Adams which traditionally happens on Monday nights in June, I avoid driving myself crazy or possibly screwing an opponent by having to forfeit. The Mass Open is my biggest tournament of the year, so I try to peak for it by the end of May. But that never seems to happen, as again either work load or having to travel for work, seems to get in the way of my ideal chess state. And this season I broke 1800 around November, climbed to my personal best of 1860 in February, before hitting a long slump that pulled me down to 1782 for this May. Making lemonade from lemons: the good news is that I got to play in the U1800 for the Mass Open, so I had a chance to (and did) win something. But the really sad news is my published June first rating is 1800 and that is +1 point over the qualification limit for the Weaver Adams?! So I have no chance to try cooks against my old comrades or fight for the coveted WA Trophy currently held by Adam Yedidia. Now I have new problems to solve by playing in the July Reubens/Landey: 1. I need dispensation from my wife (should not be a problem as we don't go to the beach on Monday night), the R_L doesn't even have a trophy, so I'll have to get working on that. As Ruben's Landy sounds like a sandwich, I think the trophy might end up a plasticized corned beef sandwich with wasabi (people are putting wasabi on everything these days). What would be the ideal Reubens/Landey trophy? Do you know what wasabi is? Introductory chess books for kids 7-11? I've recently taught and subsequently refreshed some young lads on the technique of forcing checkmate with just a rook. Ah, how I remember enjoying learning that myself years ago (Thanks, D.T.!). These boys are likely to have to teach themselves from a book for the most part. Unlike in this area, there may be few possibilities for instruction (well, perhaps except when I see them) or for rated competition, be it scholastic or otherwise. Indeed, I'm not sure if they will ever be interested in chess to the point of wanting to play in tournaments. I'm curious about people's recommendations for books that might continue to pique an interest in chess, without boring them to tears or intimidating them with how infinite chess is. 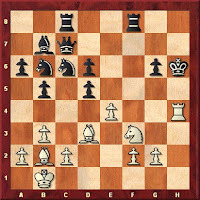 I tried to dissuade one boy from playing, as White, 1 e4 e5 2 Bc4 Bc5 3 Qf3/Qh5, with which it seems he beat many of his schoolmates. I'm not sure how much he appreciated that, while weaker players may fall to that in 4 moves, stronger players will not, and will take advantage of White's premature queen move. Keep in mind their environment -- they may never play in organized competitions, and they may only have occasional semi-formal lessons from this 1700 rating floor player. REMINDER! Vigorito lecture this week-May 27. 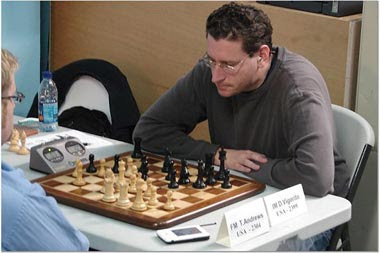 IM David Vigorito is the reigning 2008 co-champ for the Boylston Chess Club (also champ in 2007 and our current President), and has been the state champion of Massachusetts (2007), New Hampshire, and Nevada. David has won a number of tournaments in the US and Budapest. He will be speaking about his recent chess exploits at Foxwoods 2009 and other recent events. Following the lecture, David will play a simul against all comers. David's lecture style is accessible for all ages and all levels of player. Based on the smiles on their faces and the questions that they asked, the 20 attendees at his previous BCC lecture had a good time. 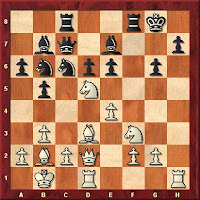 He also writes a popular column full of practical real-game insights for Chess Horizons. When: Wednesday, May 27th. The lecture starts at 7:00 p.m.; the simultaneous exhibition starts at 8:30 p.m.
Other: The simultaneous exhibition will take place if 10 people or more are interested. All are invited to observe the games and cheer on your favorite chess-master at 79 Newbury St. in Boston. The quad will play a double round-robin format at G/25, so color advantages will be balanced and the games should be quick, intense and action-packed. Play is outdoors and observers can get quite close to the boards. The day is sunny and hot. A walking talking robot is amusing. The players will be contending until about 4:30 so if you are in the area, drop by. After a light lunch, round 3 started. TD Bernardo Iglesias will phone in an update after each round is complete. Play is expected to end around 4:30. 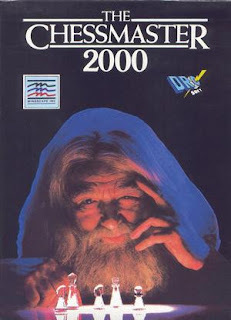 In my 19 years away from OTB while raising my kids, having a wife that worked every other weekend, it was Chessmaster 2000 that kept me playing chess. I must have played thousands of games against my 286 and I learned that the French Defense gave the program greatest difficulties. Strategically CM2K would commit to either the kingside or queenside and could be out maneuvered. But upon the arrival of the 386 model computer chess software left me in the dust. It is now a rare occasion that I defeat a 386 or stronger pc. 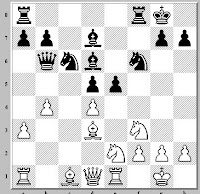 I think that practicing against a pc makes your tactics stronger, and subsequently I acquired Fritz that I first use in blunder check mode, then deep analysis to evaluate my games. This is like having your own chess coach and it allows you to spot obvious tactical errors. In my math teaching days I was involved in introducing the first generation of desktop computers into the Town of Holbrook. We had Commodore Pets, Tandy TRS80's, and Apple Mac's, then the IBM PC in 1982. Apple and Dos/Windows battled for the educational dollar for many years. One interesting observation was that some students gravitated to the math tutorial "drilling" exercises and computer simulation games. They preferred the playing/drilling without social interaction with other humans. Here was a new avenue for development that had a type of anonymity that some kids preferred. And this type of personal training exists today, as I know of kids that train for hours using chess exercise software, and some get good at a very fast rate. 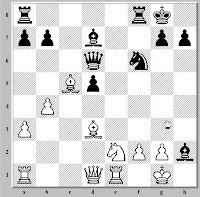 I have seen it written that Gary Kasparov was the first champ to fully leverage training with computers. There was a time when Gary carried around two of the strongest laptops (at any given time) with him to assist in chess analysis. Contrarily Anatoly Karpov's minimal computer literacy has hurt his chess awareness. Not to take anything from the fact that Karpov is one of the greatest positional players of all time. It's just that today Karpov is a few steps slower than the top wave of Grandmasters who probably spend more hours playing chess via mouse than actually touching pieces. Locally IM Marc Esserman appears to be the top PC chess junkie, obviously this is the future of chess. It's amazing that you can sit in on tournaments around the world and know in seconds what used to take months to disseminate. I wonder who has fallen victim locally to something that was just used at say Linares yesterday? Do you think pc's are changing today's game, and have been a victim or victimized anyone with a newly found innovation? It was Memorial Day weekend 2000 and the 69TH MASSACHUSETTS OPEN (200005296270) was being played in Marlborough MA. I reserved a room (that I thought had two beds) and so previously agreed that two BCF clubmates Chris Desmaris and Ilya Orsher could room with me to help defray expenses. Three people in one room doesn't even come close to my personal best which was seven at the World Open in 1976 in New York City, where we rented out floor space and many slept on the floor in sleeping bags. So when we got to the hotel we were told that all that was left were single bed rooms. Chris and Illya asked that the hotel put two cots in the room and they would use them being deferential to this old man who was twice as old as they were at the time. The fact that Chris was in the Open, Ilya in the U2200, and me in the U1800 probably contributed to the relaxed feeling we had in dealing with each other because none of us were competing for prizes. It was very interesting to compare and contrast the preparation style each of us used in getting ready for playing. I had brought about half a dozen opening books of my pet lines and had prepared some lines ahead of time in my openings to be used. I would set up a board and review things I wanted to play in the hotel room. I also bring a couple of "combinations" chess books to warm my brain up when I wake up. Ilya amazed me as he had with him only a multi-volume encyclopedic set of openings and would "shop" for an opening that he thought he might use. And it appeared almost a random choice but Ideally he would have an idea who is opponent would be. I had seen Ilya at the BCF pour over an openings book at a skittles table and whip something up just for that next game. And he's the only player that I ever saw prepare like that, but with a rating of 2061 it was obvious he was successful doing this. 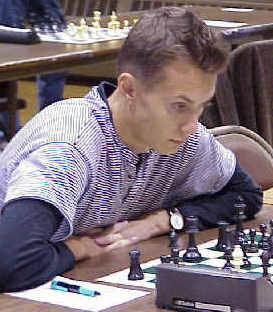 Chris Desmaris did not have any obvious preparation routines before a game except to relax, and I don't recall him looking in any chess books. But Chris would participate in Ilya's brain storming, or take time out to show me a few wrinkles he had seen in the French Defense. And Chris would move around the hotel and check out this and that in the skittles rooms while making small talk with the contestants in a totally social way. BTW a hotel room is great for crashing in between rounds, it makes a big difference in your endurance, rather than having to kill time hanging around at the hall. Chris began the tournament with a fantastic start winning two games in a row in the Open. For that Chris got the privilege to play Grandmaster Alexander Ivanov on Sunday morning. 10 years ago Marlborough didn't have the number of eating establishments it has today so you were bound to meet other players in any restaurant you went to. The three of us went to dinner together after the second round and as Chris walked around one strong player after another would approach him and offer advice as how to proceed against Ivanov. Chris listened to all suggestions but never once set up a set. Instead sat on his mattress, which he had pulled off his cot and deposited on the floor, in relaxed contemplation - almost meditating. Meanwhile Illya sat at the desk and would be feverishly working through the next preparation. Unfortunately Chris lost to Ivanov but it was a battle. 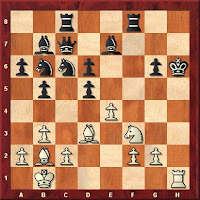 One of the games Ilya prepared for was a Schliemann Gambit where he actually stayed in theory of his book for 26 moves!? This astounded me. My results for the tournament was not so good but Chris and Ilya had good performances. Overall I enjoyed the experience of these two contrary comrades. Chris went to Europe following the tournament then dropped out of chess for while, although I see he has recently played in Florida. Illya went to India and that's the last I ever heard of Ilya. Do you have any interesting roommate stories or know the whereabouts of either Chris or Illya. Both are a sad loss for local chess. It was 2002 when Larry Christiansen defeated Nick deFirmian for the US championship winning the famous ring for the US Championship. 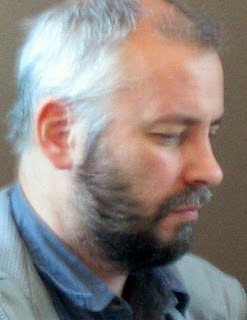 Larry had committed with the BCF for a series of three lectures concerning his book "Storming the Barricades" in the fall of 2003. Keep in mind this was a one minute game against a GM. I guess sac a Knight, sac a Rook, and then sac a Queen is what is meant by "tactical fluency." Little did any of us know at that time that the Red Sox would be involved in a playoff series with the New York Yankees while we would have the reigning US Champ giving us lectures. And through both series it seemed that every Christiansen lecture matched an important game with the Yankees. Nevertheless both Larry and us arrived at the old Clarendon location for a lecture in spite of the super match that the Red Sox were involved with. This shows a dedication that both the US champ and chess players had to be committed to the game of chess over the Sox's attempt to get into the world series. At the lectures, it was my job to sit with one ear plug connected to the radio and shout out big plays or the score while Larry reviewed games and chapters in his book. It was a fantastic lecture and I got Larry's autograph in my copy of his book. To this day the voice of Larry is there: "look for violent forcing moves" some of my most fun games have been when I was able to "throw the hammer of Thor" at my opponent. Unfortunately/fortunately the lecture ended before the infamous seventh game so we all got to suffer through that game on our own. I do want to say for those baseball masochists that rewatch old historical failures in the Sox's attempts up Olympus: in that seventh game please note the moment when Grady Little walks out to the mound and talks with Pedro Martinez. Usually the catcher provides visual or verbal feedback to the manager in such situations, but captain Jason Varitek is absolutely neutral in his disposition at that meeting on the mound. So I place some of the blame on the catcher, having been a catcher, and feeling that I would have contributed to the coaches/mangers' read about the status of the pitcher's gas tank. Grady Little bobble head dolls were smashed and burned throughout Red Sox nation after that non decision. A very painful memory when Boston fans felt swallowed up in the Greek baseball tragedy - that's until 2004 when all bad Karma was erased and the Curse of the Bambino erased. Do you have any stories about the dedication of chess players over situations? IM David Vigorito Lecture and Simul May 27th! 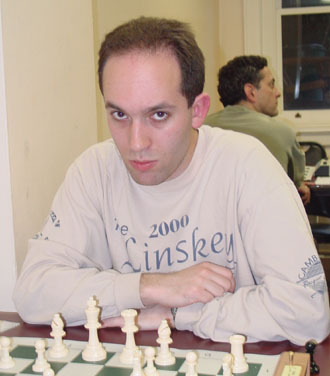 IM David Vigorito is the reigning 2008 co-champ for the Boylston Chess Club (also champ in 2007 and our current President), and has been the state champion of Massachusetts (2007), New Hampshire, and Nevada. David has won a number of tournaments in the US and Budapest. He will be speaking about his recent chess exploits at Foxwoods 2009 and other recent events. Following the lecture, David will play a simul against all comers.